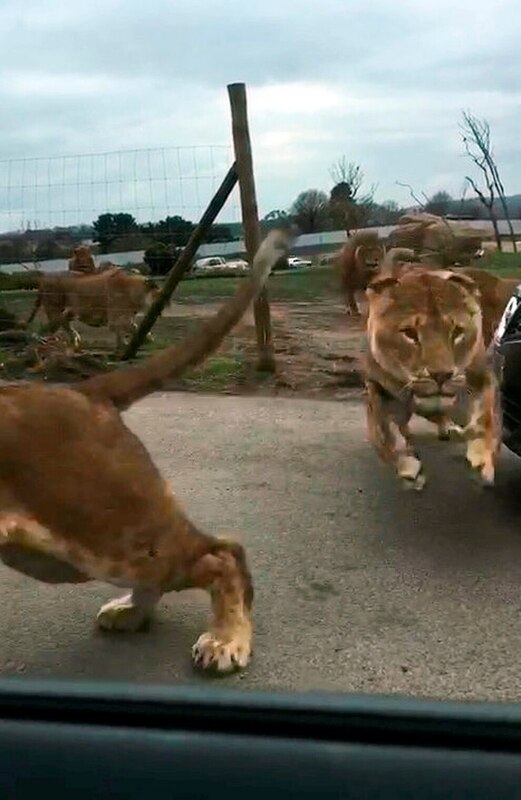 This is the terrifying moment a pride of lions charged at visitors and leaped on the roof of a car at a safari park. 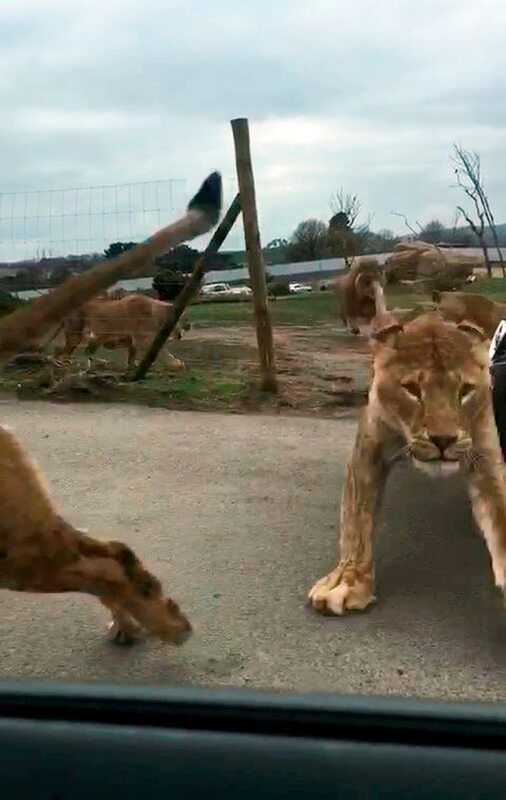 The heart-stopping footage shows the predators rapidly rounding a corner and then hurtling towards the vehicle at West Midland Safari Park. 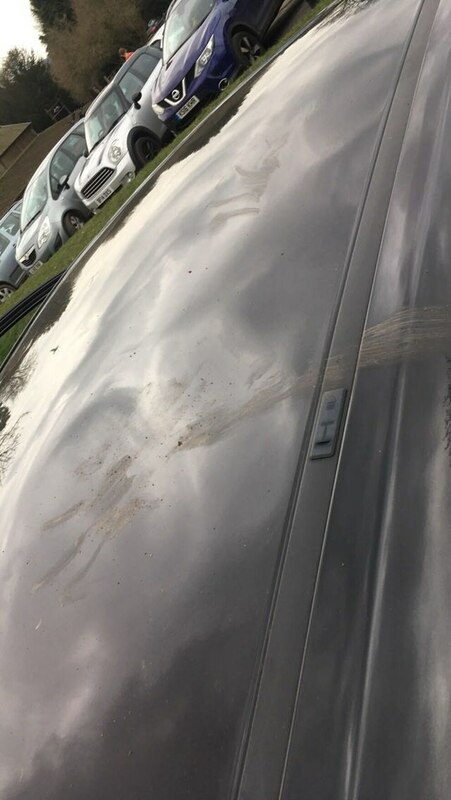 One of the beasts jumped on top of a car – leaving behind a huge paw print on its roof. Abi Tudge, aged 23, and a friend became shut in the lion enclosure at the park in Bewdley when rangers closed the gates for safety on Wednesday afternoon. The pals, who had two children in the back seat, were in the enclosure for around 50 minutes as wardens tried to calm the ‘agitated’ and ‘aggravated’ animals. But they were left stunned when the pack suddenly bolted for a female and headed straight towards the car – jumping on it and leaving behind dents and scratches. 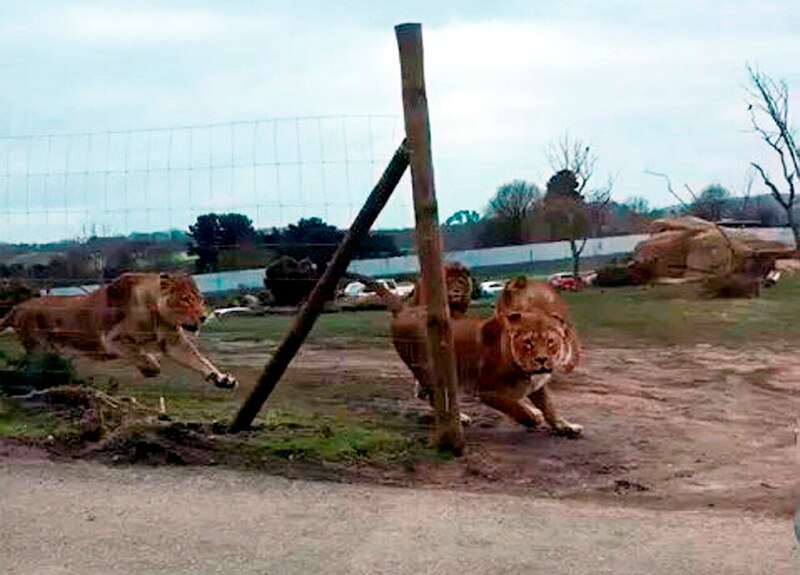 A safari park spokesman said visitors were not in any danger and the ‘safety and wellbeing of guests is paramount’. Abi, of Hereford, said she feared the car’s windows would be smashed by the animals, which can weigh up to 30 stone (190kg). Abi’s friend, who filmed the footage, said: “It was the last thing you’d expect to happen on a casual day out. 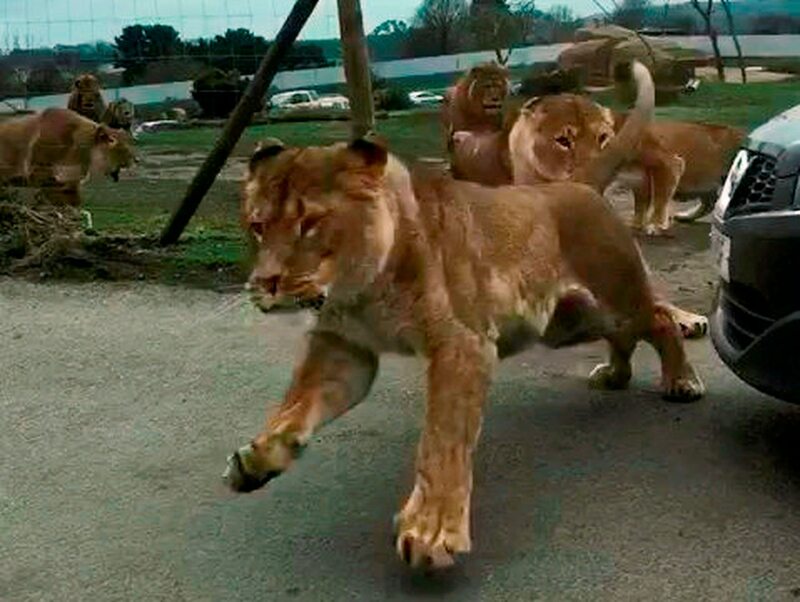 “We could see as we got into the enclosure that the lions were making a lot of noise, and that a few of them were wrestling with one another. 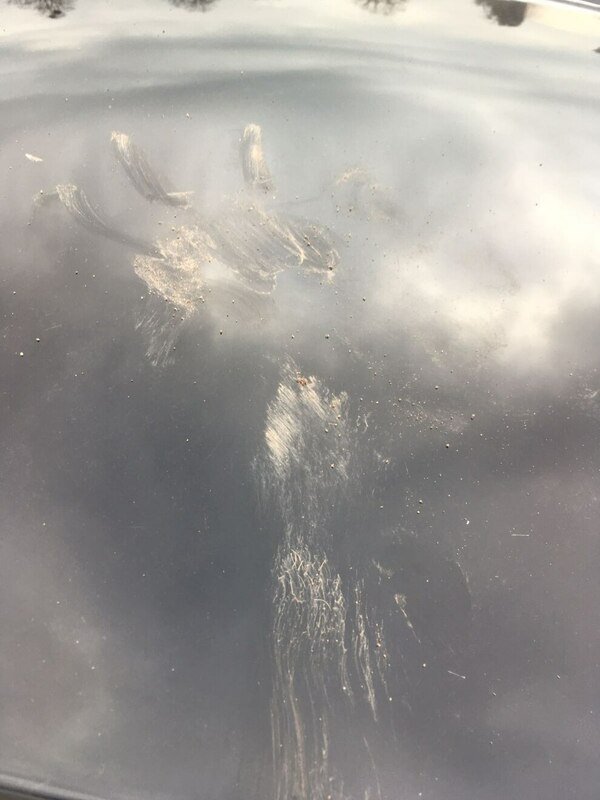 This is the terrifying moment a pride of raging lions charged a womans car at West Midland Safari Park in Bewdley, Worcestershire  leaving a huge paw print-shaped dent in the roof. “They were dashing around after one another – I think there was a female that they were trying to chase. “The employees weren’t able to open the gates to let us out because of the disturbance. Then, out of nowhere, a load of them darted towards my car and started jumping all over it. “It was a real shock, but I knew that I couldn’t scream because it would upset the children. “I think they were just running from one place to the other, and my car happened to be an obstacle in their way, so they hurtled over it. 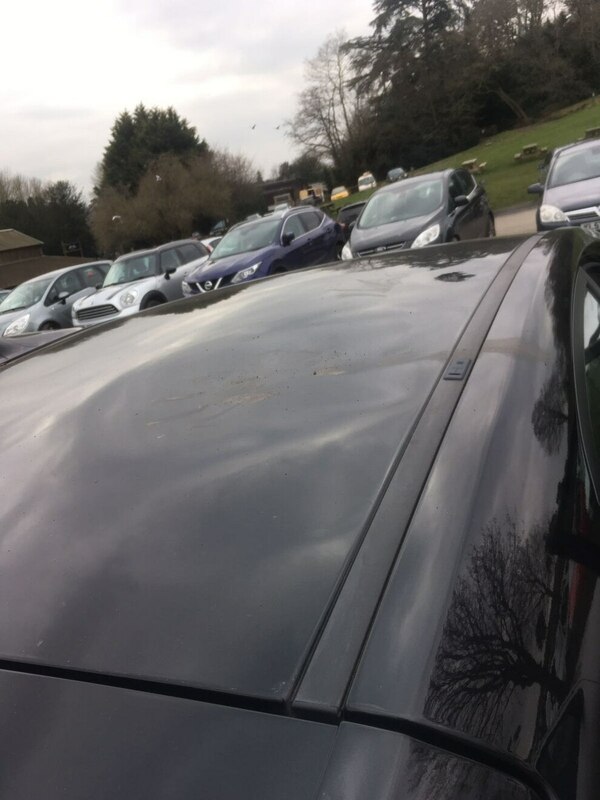 “One of them went up on the bonnet, and another one managed to jump on the roof. They really got up close and personal. “Eventually the gates opened so that we could get out, and we just carried on our day as normal. “The children were talking about it as we drove them back home, they found it absolutely hilarious and were really happy that they got to experience that. I think that the staff were amazing, I have to commend them for what they did. Their presence made us feel safe as it happened. 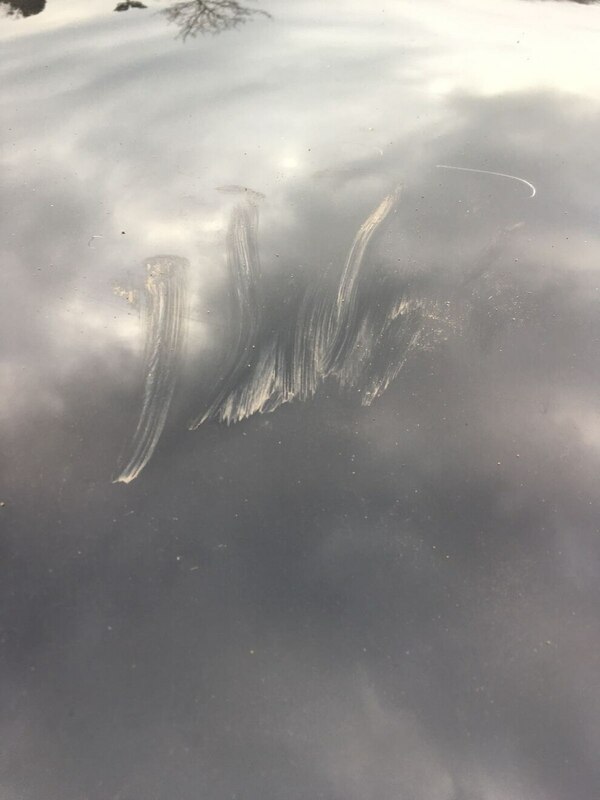 “The only negative is the paw print dent on my car, but it looks really funny and will hopefully be easy to fix. 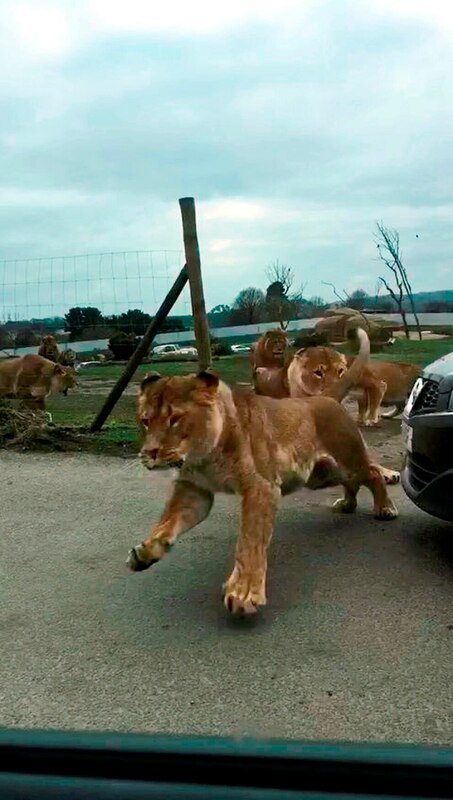 A West Midland Safari Park spokesman said: “The exit gate of our drive-through lion enclosure was kept closed temporarily due to the lions being in close proximity to the gate. 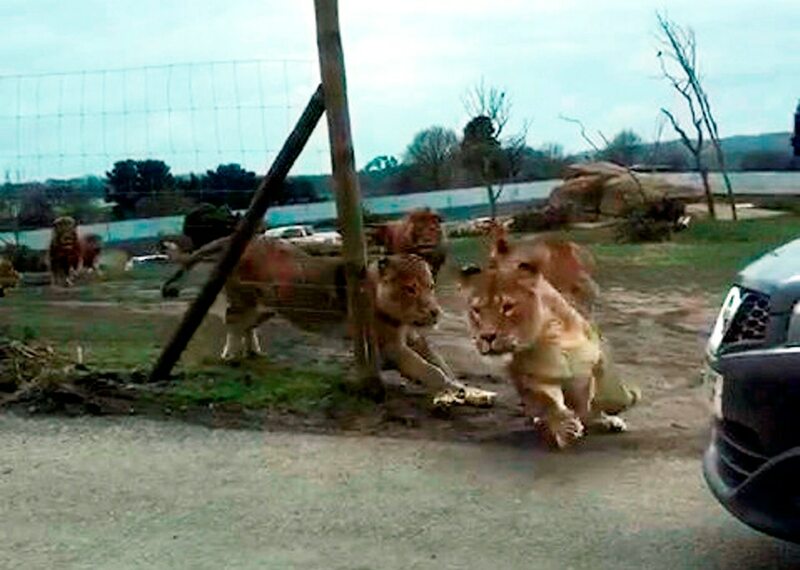 “This was a precautionary measure to prevent the lions going between gates, causing guests already in the enclosure to wait in their vehicles for a short period of time. “The male lions have been in the process of being mixed with the females for a few months now. “This has been going well and there was no reason to believe that there would be any issues yesterday as a result of mixing. “As with all wild animals, normally harmonious groups can on occasion become particularly active. This is constantly monitored closely by trained staff who are always in the enclosure when guests are too and will intervene if necessary. “There was an experienced member of staff within the enclosure and at no time were guests in any danger.